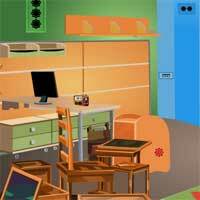 ZooZooGames Wonderful Room Escape info about the game-Games2Rule. created By zoozoogames.com Lisa and her friends are fun type girls and always makes fun and enjoy their life. One day Lisa challenged her friends that she is more intelligent than everyone in her group. So her friends asked her to escape from the room which has hidden objects and puzzles.